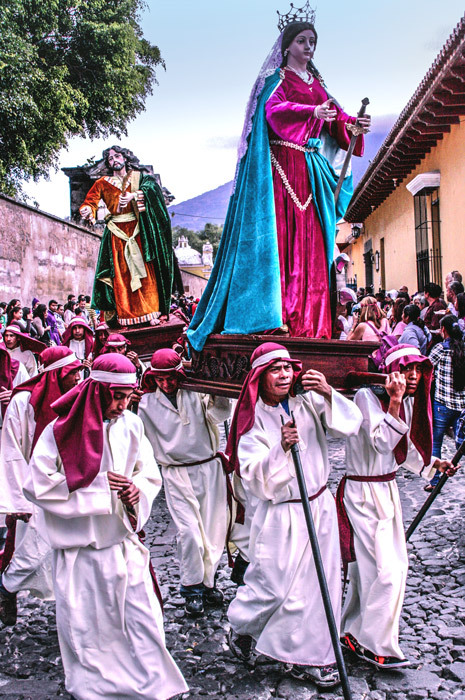 Each Sunday during Lent, and leading up to Holy Week in La Antigua, Guatemala, several local congregations sponsor religious processions that depart from their villages, following various routes through its cobbled streets and then returning to their respective churches late in the evening. The Spanish introduced this centuries old tradition when they arrived in Guatemala in the 1520s. 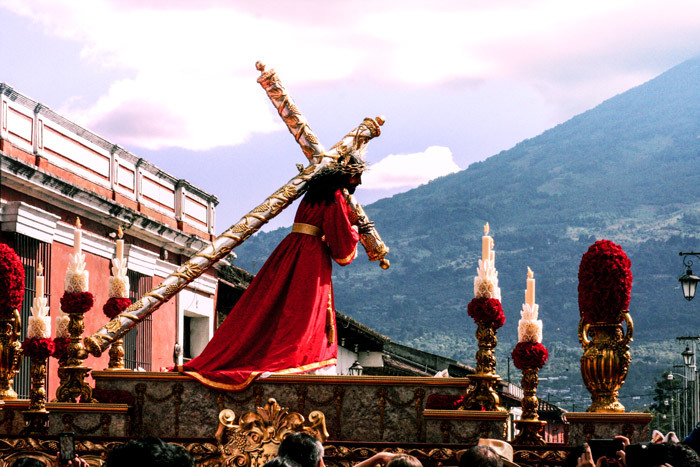 As a result, Antigua is now host to one of the largest and most elaborate celebrations of Cuaresma or Lent in all of Latin America. With the enchanting first procession of Jesús Nazareno de Santa Catarina Bobadilla ushering in the start of Lenten celebrations and Cuaresma in Antigua, this year’s events, which include the velación, are especially meaningful as their small village of just under 800 people is in the challenging position of having to rebuild their church. After the devastating earthquake of 1976 that destroyed Antigua and many of its churches, some of the sculptures and images were confiscated and taken away to Guatemala City, ostensibly for protection. Others, such as Jesús de la Caída of San Bartolo, wound up in the nearby San Jerónimo ruins of Antigua where they were eventually rescued and returned to their parishes although not without difficulty or red tape. “Because of the great love that this village has for its Nazarene Image and because people feared that CNPAG (Council for the Protection of Antigua) would come and take it away after the earthquake, we rebuilt our last church very hastily. Sadly, its construction was poor,” recounted Luis Hernández. Hernández, a lifelong resident of Santa Catarina Bobadilla, has been a member of the Hermandad for 24 years and has served as its president for the last eight. One of the challenges this parish currently faces is that they are not yet the recipient of any private donations or financial aid from the municipality or government. The project is therefore moving slower than anticipated and is being funded solely through fees collected from private and religious events including the various processions. 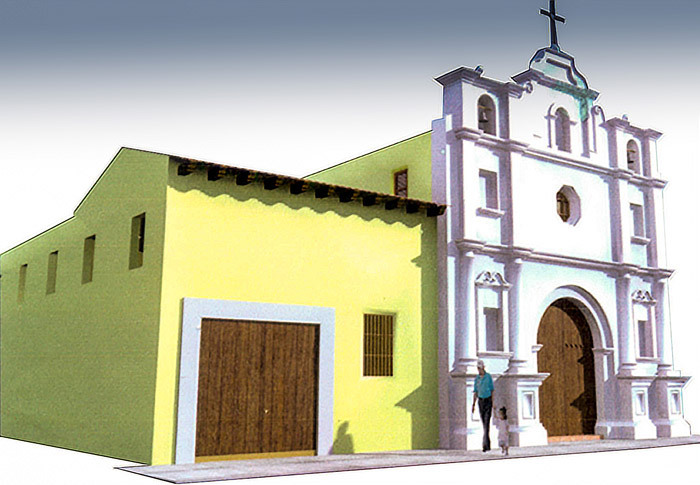 Despite construction, the velación and procession will proceed as usual with masses and other religious events all taking place in the ‘templo provisional’ located near the site of the new church. 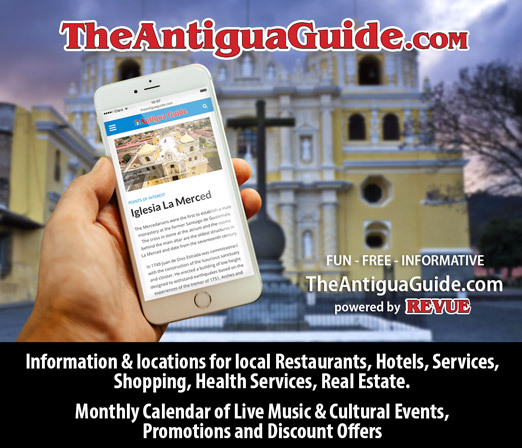 The procession of Santa Catarina de Bobadilla departs at 11 a.m., winding its way through the streets of Antigua via El Calvario and returning to its village after midnight. This year, the procession occurs on Sunday, February 18th. 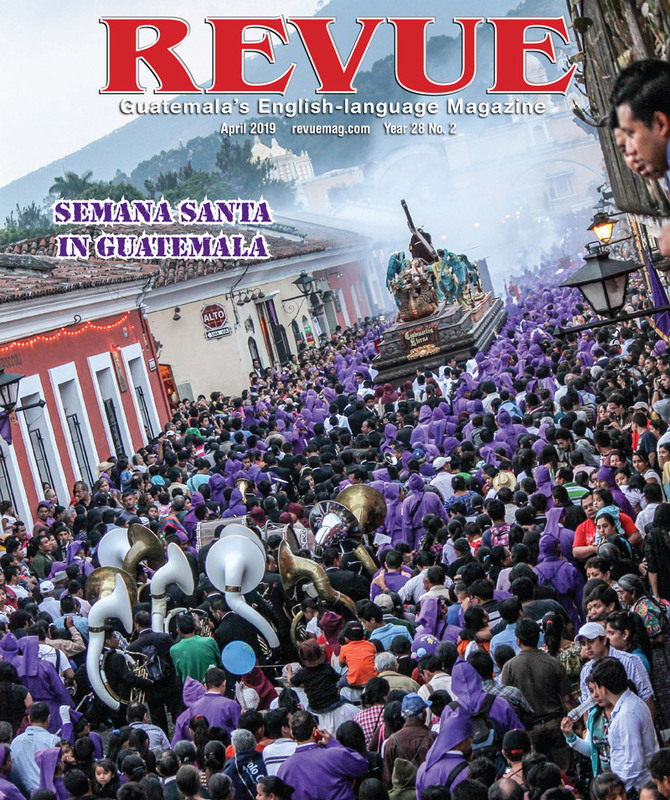 Initially, the procession of Jesús Nazareno de la Salvación started in the streets of Santa Catarina Bobadilla and only went as far as the nearby villages of San Pedro Las Huertas and San Juan del Obispo. But as the procession grew, it began to go into Antigua and became the third procession on the third Sunday of Lent. 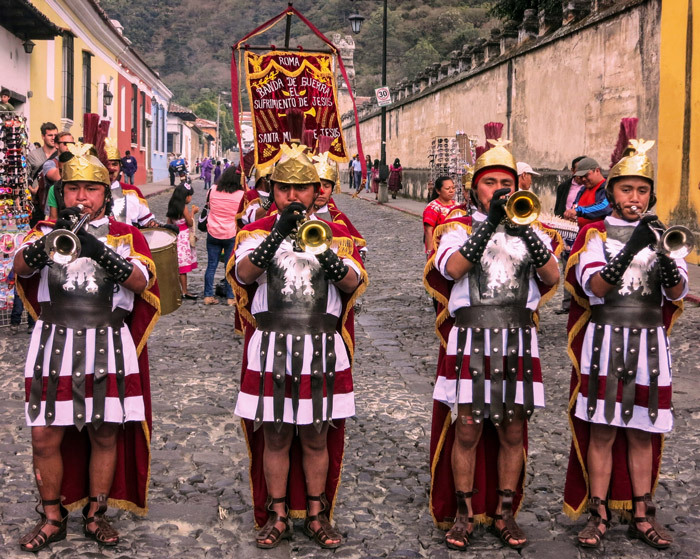 In 1948, it was ultimately decided by various Hermandades throughout Antigua that the procession of Santa Catarina Bobadilla should be first and lead the Lenten celebrations into Antigua on the first Sunday of Lent. According to Hernández, the total number of people who now participate has increased to over 2000. 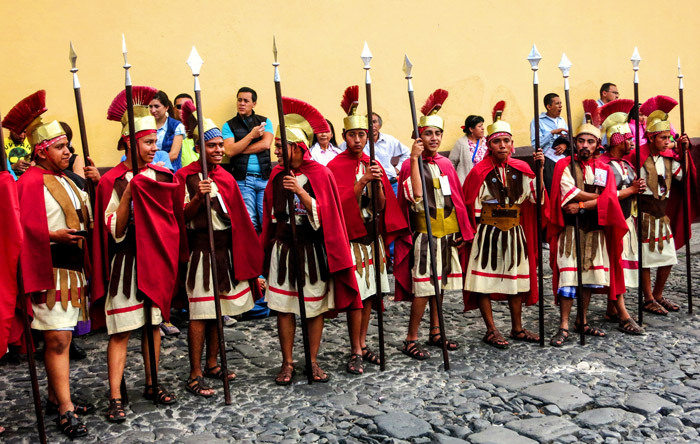 Volunteers from other regions in Guatemala and neighboring countries such as El Salvador come to Antigua just for the privilege of carrying the anda bearing the various saints and religious images. “We see many people from the town of Palín in Escuintla as well as from Antigua and the capital who participate,” he added. The Nazarene of Santa Catarina Bobadilla was named Patrón Jurado of La Antigua in 2009 and is considered to be the protector of Antigua. The image was carved in the year 1817 specifically for this temple by sculptor Pedro Mendoza. Each year, Jesús Nazareno de la Salvación is fitted with a new tunic made by a ‘modista’ or dress maker in Guatemala’s capital from fabric that has been imported from Spain and that is fashioned in an ’estilo Sevillano’. If you are interested in supporting this project in the form of a financial donation or construction materials, please contact Luis Hernández, president of the Hermandad at luisarhi@gmail.com. The new construction project also has its own Facebook page at Comité Construcción del Nuevo Templo Católico de Santa Catarina Bobadilla. With a contribution of Q 1,500 or more, the name of the person or family making the donation will be engraved on a historical marker commemorating their contribution. The marker will be located near the church in the central plaza.